“Aleph-Bet” by Ze’ev Raban, ill. Levin Kipness on the cradle in the Gruss Lipper Digital Laboratory at the Center for Jewish History. The Leo Baeck Institute is continually making its library collections more accessible by digitizing important parts of our collection which are in the public domain. The digitization projects listed below were made possible through partnerships with the National Endowment for the Humanities, the Metropolitan New York Library Council, and the Cahnman Foundation. Additional financial and technical help was provided through the Gruss Lipper Digital Laboratory at the Center for Jewish History. Access the digitized book collection. An overview and a more detailed history of our digitization projects are available here. 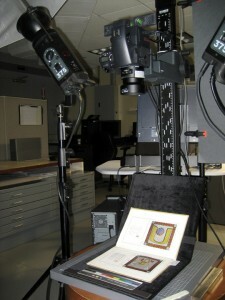 Newly digitized books are continually being added. Only works in the public domain will be considered. Selections are and will be based on demand, selections of scholars, funding, and preservation needs. 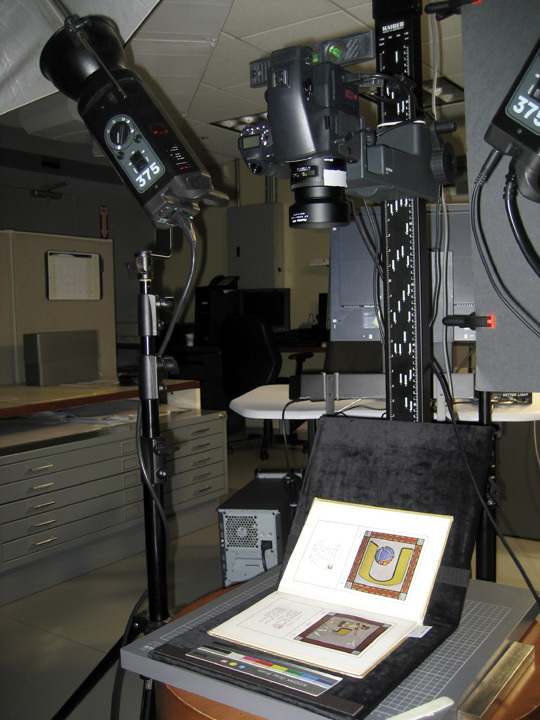 Digitizing the Rare Book Collection of the Leo Baeck Institute. In: Digitization in the real world: Lessons learned from small and medium-sized digitization project. Send questions or comments regarding the LBI Library digitization projects to Renate Evers, Director of Collections, at revers@lbi.cjh.org .